Atlas Copco is a leading global provider of compressed air solutions. We are committed to sustainable productivity with a full line of air compressors, blowers, vacuums, gas generators, and other quality air solutions. With multiple locations across the United States, Atlas Copco has provided cutting edge equipment for businesses and industry for nearly 145 years with a focus on productivity, efficiency, safety, and ergonomics. Atlas Copco is committed to delivering complete solutions for its customers with dryers, piping, and all other equipment necessary to fit every need. We demonstrate our dedication to service by investing in new facilities that support manufacturing, distribution, training, and sales for customers nationwide. Atlas Copco is rated among the top 100 sustainable companies in the world and is a member of the Compressed Air and Gas Institute (CAGI). Atlas Copco offers a wide range of total solutions for customers who require compressed air and gas. High quality, on-site gas generators produce point of use nitrogen and oxygen and require only a supply of dry compressed air. Producing gases on-site greatly reduces costs when compared to bottles or bulk deliveries. As an integral industrial gas for a variety of applications, nitrogen serves to power operations in a wide range of industries, including winemaking. Nitrogen is simple to generate and implement over the entirety of the wine’s life, from fermentation to bottling. Any time it is necessary to replace oxygen and blanket the wine, nitrogen is used to mitigate oxidation, spoilage, yeast and bacteria growth. In any food and beverage production, oil-free air is essential. Winemaking is no exception. Atlas Copco’s line of ISO 8573-1 (2010) Class 0 air compressors are certified 100% oil-free to ensure a complete lack of contamination during the fermentation and mixing process. Atlas Copco ensures that wine made with its oil-free air compressors is completely clean and completely safe. When mixing by aeration, oil-free air from Atlas Copco aids healthy fermentation, eliminates reduction problems, and evenly distributes additions to the tank. As the first to be certified ISO 22000, Atlas Copco understands the importance of holding the most important standard in the food and beverage industry. All oil-free air compressors from Atlas Copco guarantee absolute air purity. For operations large and small, efficiency is the key to success. Energy recovery systems on Atlas Copco compressors allow businesses to use the heat of compression to create hot water for a variety of uses. Heated water produced through energy recovery can be used as cleaning in place (CIP) water to sterilize and clean product lines and bulk storage tanks. The process of using the energy of compression to heat necessary sanitized water for cleaning and other uses reduces energy costs and helps companies of any size save money. Plants can recover 90-95% of the compressors electrical input as hot water. Atlas Copco compressors have been certified by TUV as capable of recovering up to 100% of energy input as hot water. Atlas Copco ensures complete service for our customers by supplying, installing, and servicing the gas generators, oil free compressors, and energy recovery systems we sell. To discover more about our complete solutions to all your compressed gas and air needs, watch this short video that highlights how we are working with winemakers from across the globe. Low pressure blowers are used in the fermentation, conveying and wastewater treatment applications aerating and mixing to supply dissolved oxygen in the lagoons facilitating microbe growth which consumes the solids in the water. They are available in fixed speed or variable speed drive, tri-lobe or rotary screw. Mike Capps, an Atlas Copco dealer with Specialty Tools & Attachments in Wyoming tells us about his favorite products and why he and his customers -- have trusted Atlas Copco for more than 10 years. Check out Specialty Tools' website: http://www.sta-attachments.com. 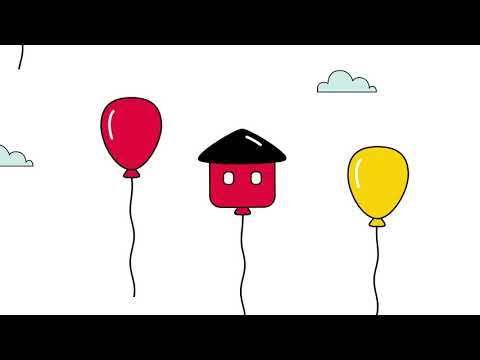 From 1873 to 2019 this video shows the evolution of the Atlas Copco Group! Come grab some good wine, and our experts will catch you up on the latest winemaking technology. To learn more about the products we’ll have on display, please see the press release below. We are also taking one-on-one appointments with our product experts at this time. The company also is hosting a wine tasting for show attendees from 12 p.m. to 3 p.m. on Thursday, January 25 at booth 1911. Also featured at the Atlas Copco booth will be the NGP+ nitrogen generator, crucial for preventing oxidation in the winemaking process. The NGP+ nitrogen generators utilize a proprietary separation technology to provide users with an instant supply of up to 99.9 percent pure nitrogen. These on-site nitrogen generators are a cost-effective solution to buying bottled nitrogen, saving up to 50 percent of running costs when compared to other nitrogen generators. Atlas Copco is a world-leading provider of sustainable productivity solutions. The Group serves customers with innovative compressors, vacuum solutions and air treatment systems, construction and mining equipment, power tools and assembly systems. Atlas Copco develops products and services focused on productivity, energy efficiency, safety and ergonomics. The company was founded in 1873, is based in Stockholm, Sweden, and has a global reach spanning more than 180 countries. In 2016, Atlas Copco had revenues of BSEK 101 (BEUR 11) and about 45,000 employees. Save the Date: WIN Expo on November 30th - We'll See You There! Join us in supporting those that were affected by the California wildfires and get free access to the latest products and services from over 300 of the industry’s best national suppliers and service professionals. We’re attending the WINExpo at the Sonoma County Fairgrounds, Thursday, November 30th and want you to also! The 2017 WINExpo is the 6th Annual North Coast Wine Industry Expo Trade Show. “Customers are increasingly turning to the internet to research and purchase products, so we want them to have the same option when selecting an air compressor” said John Brookshire, President of Atlas Copco Compressors LLC. Atlas Copco Compressors recently launched an online store where customers can purchase a variety of Atlas Copco compressors, including compressors up to 50 horsepower and airflows of 250 cfm. Atlas Copco Compressors LLC is part of the Compressor Technique Business Area, and its headquarters are located in Rock Hill, S.C. The company manufactures, markets, and services oil-free and oil-injected stationary air and gas compressors, air treatment equipment, and air management systems, including local manufacturing of select products. The Atlas Copco Group, which celebrated its 140th anniversary in 2013, is among the Top 100 sustainable companies in the world and a member of the Dow Jones World Sustainability Index. Atlas Copco has also been recognized by Forbes, Thomson-Reuters and Newsweek, among others, for its commitment to innovation and sustainability. Atlas Copco Compressors has major sales, manufacturing, production, and distribution facilities located in California, Illinois, Massachusetts, North Carolina, South Carolina, and Texas. To learn more, please visit https://atlascopcocompressorstore.com. The following is an excerpt from the article Consider Your Air Compressor’s Maintenance Budget featuring Trey Ragsdale, CTS product marketing manager, Atlas Copco Compressors. The full version can be read online or in the October issue of Maintenance Technology. Large capital purchases, such as compressors, require careful planning and financial forecasting. After the initial cost, many organizations still have to pay down interest and principle. While they typically include those line items in their budgets, they often forget to factor in another crucial cost: annual maintenance. According to Atlas Copco’s Trey Ragsdale, while maintenance only composes about 5% to 10% of annual compressor-related expenditures, those costs can increase exponentially if maintenance is forgotten or deferred, causing unexpected and expensive downtime. The type of compressor(s) you run can greatly affect service costs. For instance, oil-lubricated compressors have more oil to change than oil-free compressors, thus increasing the cost of service. Equipment installed in severe-duty applications may require more-frequent service. If your compressor is housed in a hot, humid, or dusty area, take that fact into account when planning your maintenance budget. You can read the full article on developing an air compressor maintenance budget in the October issue of Maintenance Technology. Contact an Atlas Copco expert to start creating an air compressor maintenance budget for your facility. Leaks can be costly. A quarter-inch air leak at 100 psi can waste as much as $8,000 in energy costs per year. Depending on the age of the compressor system, as much as 20 percent of compressor costs are due to leaks. But while leaks are easy to see in your energy bill, they are harder to spot in the system. Some bigger leaks can be heard in a system walk-through, but almost 80 percent of leaks are inaudible. And these inaudible leaks – while small – account for a significantly larger portion of energy loss. Knowing where leaks commonly occur is a good first step to reducing your unnecessary energy costs. Filters: Filters remove harmful contaminants from the compressed air. This makes end use safer and keeps the system cleaner, but the filters need to be maintained as well. When filters are clogged, lubricant aerosols, moisture and particulates remain in the airstream, coating the pipes and leading to system leaks. Drains: When manual condensate drains are left open, compressed air is constantly leaving the system before end use. Solenoid valve drains on a timer may be on an interval that is longer than necessary, leading to wasted compressed air. To make sure compressed air doesn’t escape, make sure your manual valves are closed and any solenoid valves are on an appropriate interval for the condensate flow. Piping and Connections: Did you know piping systems over five years old likely have leaks that account for 25% of compressed air usage? Frequently monitoring and maintaining your piping system can go a long way towards decreasing leaks and increasing energy savings. Improperly sized connections, like hoses and tubing, can lead to compressed air losses. Make sure your components are working together to save you air and money. Leaks are a common problem, but they have an easy solution. Start a regular maintenance routine now to avoid costly leaks in the future. Your compressor system – and your energy bill – will thank you. Atlas Copco has launched the 8 Series, a range of 10 new air compressors. All models in the 8 Series range fall below the 750kg limit and therefore require no special driving license to tow. Reliability, efficiency and higher utilisation levels, coupled with superior performance, enable the range to offer a maximum return on investment for rental and construction partners. Ideal for use on construction sites and in other demanding environments, the new 8 Series compressor range benefits from Atlas Copco’s pioneering air element design, making the compressor up to 150kg lighter than comparable models. During the development phase, particular consideration was given to improving the compressor’s efficiency and the latest advances in the 8 Series mean that fuel consumption is significantly reduced. The new range uses an average of 12% less fuel than comparable products. The compressors’ compact and lightweight package mean that despite incorporating a full-size fuel tank, aftercooler and generator, all models fall below 750kg. The largest compressor in the range can produce 5m3/min of air and can still be towed by a normal passenger car. However, the inclusion of a new and updated HardHat® canopy ensures the 8 Series models are tough enough for the harshest conditions. Incorporating reliable Kubota engines, the compressors feature an anti airlock system for guaranteed starting. Service is made simple as all parts are easily accessible and the filtration uses a simple spin on system. Remarkably, the 8 Series only requires an hour’s total service time over two years of operation. The 8 Series line-up initially comprises of 10 models, ranging from the XAS 38 Kd, with a free air delivery of 2m3/min, to the XAS 88 Kd, with an air delivery of 5m3/min. Two models in the range come with built-in generators. The 8 Series range of compressors are available with a buy back guarantee from Atlas Copco, which ensures the compressors’ asset value and allows owners to easily calculate the capital return. This short video highlights how Atlas Copco works every day in the United States to achieve sustainable productivity. Atlas Copco Compressors is an industry-leading global manufacturer and service provider of compressed air technology and quality air accessories, including nitrogen generators with 24/7 service support. In each of the past five years, we have invested in opening new U.S.facilities to further support manufacturing, distribution and training for customers nationwide. Our sales and service representatives are right where our customers do business. In 2013, Atlas Copco celebrates our 140th birthday. From our beginnings as a railroad manufacturer, we have grown our presence in the United States to over 100 locations and employ approximately 4,500 people. The people of Atlas Copco are committed to your Sustainable Productivity. Does your manufacturing facility need a compressed air audit? Learn how it can help reduce your compressed air energy cost by 30 percent or more. Manufacturing Today: Atlas Copco is "one of the leading providers of compressors in North America"
Atlas Copco Tools and Assembly Systems celebrates the opening of their new custom-built 120,000 sq.-ft. state-of-the-art headquarters in Oakland Technology Park. Atlas Copco CEO Ronnie Leten, senior members of the Atlas Copco management team, Swedish Ambassador to the United States Björn Lyrvall, the Mayor of Auburn Hills and Oakland County Executive L. Brooks Patterson, attended the opening day event on June 29, 2015 that included an official ribbon cutting and speeches by the visiting dignitaries and local officials. The new facility will house approximately 225 employees from the former location on Dutton Road along with additional business units, and will add 50 jobs over the course of 12 months. The headquarters serves the motor vehicle, heavy industrial and general manufacturing industries, as well as the company’s growing aerospace business. 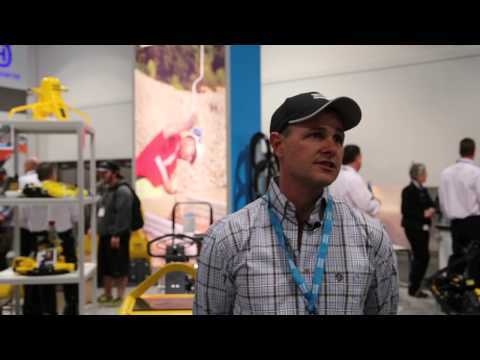 Mike Capps, an Atlas Copco dealer with Specialty Tools & Attachments in Wyoming tells us about his favorite products and why he and his customers have trusted Atlas Copco for more than 10 years. Check out Specialty Tools' website: http://www.sta-attachments.com. With the grape harvest season gearing up in warmer climates, now is a great time for winemakers to weigh the benefits of onsite nitrogen gas generation against delivery of liquid nitrogen. How is nitrogen used in winemaking? While the very best wineries still use some traditional practices in the making of wine, such as harvesting grapes by hand, modern wineries often combine these traditional practices with modern manufacturing techniques. Because of its inert, colorless and odorless characteristics, nitrogen is used to prevent oxidation, which can alter the acidity, color, aroma and natural flavor of the wine. Nitrogen is also used in the bottling process. Bottles are washed and dried with nitrogen before filling, and after filling and before corking the bottle is purged with nitrogen to eliminate the presence of residual air in the neck of the bottle. Winemakers (and other industrial manufacturers who require nitrogen for a variety of applications) can reduce nitrogen costs by 40-80% by switching to onsite generation, depending on current liquid nitrogen market prices. Bulk costs for delivered liquid nitrogen can range from $0.35 per hundred cubic feet to $1.50 per hundred cubic feet. And, when delivered in cylinders, the price can jump as high as $3 per hundred cubic feet. Even with the capital costs associated with onsite nitrogen generation (for equipment such as nitrogen generators, air compressors, receivers, site preparation, power and associated maintenance), customers can realize a return on investment in as few as nine to 24 months depending on what equipment they already have at their facility. In each subsequent year, regular operational expenses can drop even further to about $0.11 per hundred cubic feet—just maintenance and energy costs. Onsite nitrogen gas generators used to be economically viable only in very large applications. Through continual research and development, today’s high efficiency products ensure that generators are economically viable for even the smallest applications. Remember the high school science classes where a teacher donned rubber gloves and dipped a delicate rose into liquid nitrogen before shattering the immediately frozen petals on a table top? With onsite nitrogen generation, the potential for exposure to the -320 degree Fahrenheit liquid nitrogen during the delivery and unloading process is automatically eliminated. Additionally, onsite nitrogen generation helps reduce energy use and lower a facility’s carbon footprint. Consider the absence of diesel fuel and associated carbon emissions from truck delivery of liquid nitrogen and these benefits compound. When considering all of the benefits of onsite nitrogen generation—greater efficiencies, quick return on investment, lower costs, safer work environment and environmental stewardship—the choice seems clear. Learn more about onsite nitrogen generation by visiting Atlas Copco’s onsite industrial gases microsite. Wilrijk, Belgium, August, 2014. Atlas Copco unveils the latest GA 90+-160 range of oil-injected rotary screw compressors, designed to reach new productivity levels and reduce operating costs. The patented screw element is packaged in a new enhanced design which improves the performances by up to 5% compared to the previous generation. New innovative features help to increase the availability and durability of the compressors. Thousands of Atlas Copco GA air compressors are operating around the globe in applications like power plants, mining, cement, glass and metal industries. The new GA 90+-160 range is the result of solid industry knowledge combined with innovative features. With its high-cooling capacity, GA air compressors can perform in all demanding operating conditions and up to 55°C/ 131°F. The intelligent control and monitoring systems, the Elektronikon® and the SmartLink®, offer many possibilities to optimize the compressor operation and further increase the savings. To reduce the operating costs, the new range offers longer service intervals and reduced maintenance time. “At Atlas Copco, we innovate to maximize value for our customers.Efficiency is in our DNA and lowering the energy costs of our customers is our primary focus. But there is more we can offer: serviceability, ease of installation, integration, and monitoring. The new GA 90+-160 is another great example that our expertise lead to tangible benefits.” says Chris Lybaert, President Atlas Copco Oil-free Air division. The GA 90+-160 oil-injected rotary screw compressor range includes energy savings features like the IE3 motor, the no-loss water separator drain, the energy recovery module and the in-build dryers. The unique integrated dryer concept delivers clean, dry air to improve the process’ reliability and increases the energy savings. With the reduced floor space requirement, and the all-inclusive package, the installation costs are considerably reduced. “In today’s industrial environment, our customers are looking for solutions that improve sustainability, efficiency and productivity, while lowering operational risk.We are very proud to add this new GA 90+-160 range to our offering. More energy savings, less CO2 emissions, the Atlas Copco drive for efficiency continues.“ says Conrad Latham, Vice President Marketing, Atlas Copco Oil-free Air division. Atlas Copco CEO Ronnie Leten marked the company’s 140th anniversary by ringing the opening bell at the NASDAQ MarketSite in New York’s Times Square on February 21. The bell ringing signified the beginning of the day’s trading and the start of a yearlong anniversary celebration for the company. Leten was accompanied at the event by Maureen Ellis, an employee celebrating more than 40 years with Atlas Copco in the United States, select customers, and other company management and stakeholders. Much has changed since 1873, but this has remained constant: Atlas Copco is committed to developing leading-edge technology and taking care of customers. The best way to celebrate 140 years is to acknowledge the employees and customers that made it possible and deliver on the company's commitment to innovation, sustainability and customer service. Atlas Copco is an industrial group with world-leading positions in compressors, expanders and air treatment systems, construction and mining equipment, power tools and assembly systems. With innovative products and services, Atlas Copco delivers solutions for sustainable productivity. The company was founded in 1873, is based in Stockholm, Sweden, and has a global reach spanning more than 170 countries. In 2011, Atlas Copco had 37,500 employees and revenues of BSEK 81 (BEUR 9). 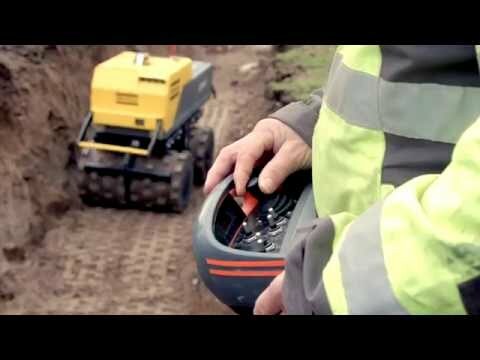 Learn more at www.atlascopco.com . Atlas Copco North America operates 109 locations and employs more than 4,600 people in the United States. The business unit earned $2.8B in revenue in 2012 or approximately one-fifth of the company’s overall revenue. Learn more at www.atlascopco.us .